I’ve been catching up on my cleaning this week. First I got into my closet and let go of a serious amount of clothing I am never going to wear again. Not all these bags came from my closet, just the big bags. Good news: lots of the clothes were too big or just didn’t hang right on my body now. Bad news: I still have bins of cute, classy clothes I can’t fit in. I sigh as I write this because I know the solution is simple: eat smart, move more. But, I am a blogger and home office administrator who sits to work. BUT, I am also a homemaker who loves a neat, clean home. The solution, or at least part of the solution for me getting into those cute clothes is to clean more, sit less. 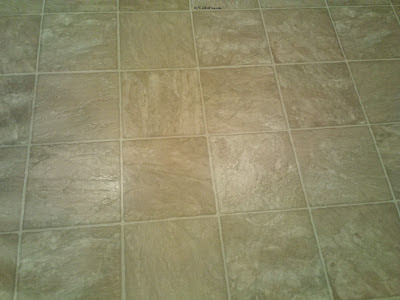 I set this in motion right away, planning wahm that I am, by giving my floors a good scrubbing. No Swiffer action here, no ma’am. I’m talking old school, double sweep, double mop with bucket, ringing out the Lemon Lysol water type scrubbing. I even cleaned the baseboards while I was at it. That’s a perk of mopping floors old-school, you get clean baseboards too. By the time I’d completed the kitchen, foyer and three baths I was sweaty. No lie. Like I’d completed a good fast walk. Clean floors, good smelling house and I broke a sweat? My clean kitchen floor. Bare feet bliss. I felt so good about it; I had to check how many calories and hour or so of scrubbing floors burned. According to Fitness Magazine, I burned 112 calories per 30 minutes. I worked for about an hour, so my total would be 224! Next time I’m feeling bad because I didn’t work out, I’m going to get up and clean something! Do you count household chores towards your fitness goals? It is a workout to clean! 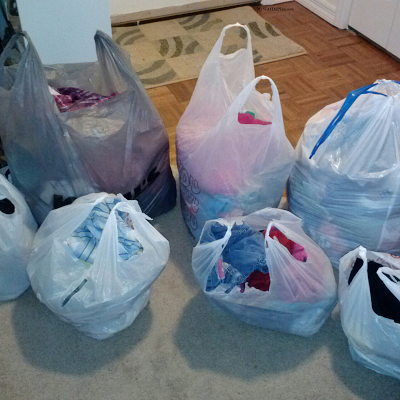 Woo-hoo on getting rid of big clothes! Thank you! It felt really good to let some of those pieces go. I'm trying to do something active every day this month, and you're rigth! Cleaning is a great way to burn a few calories! Being mindful of your daily activity is so helpful. I should incorporate this into my day too. I like that cleaning helps us move more, but gives us a visual reminder of all we accomplished that day.